The Feast of Saint Ursula Liturgy was celebrated on Wednesday, October 24th at 10:15 A.M. in the school gymnasium. 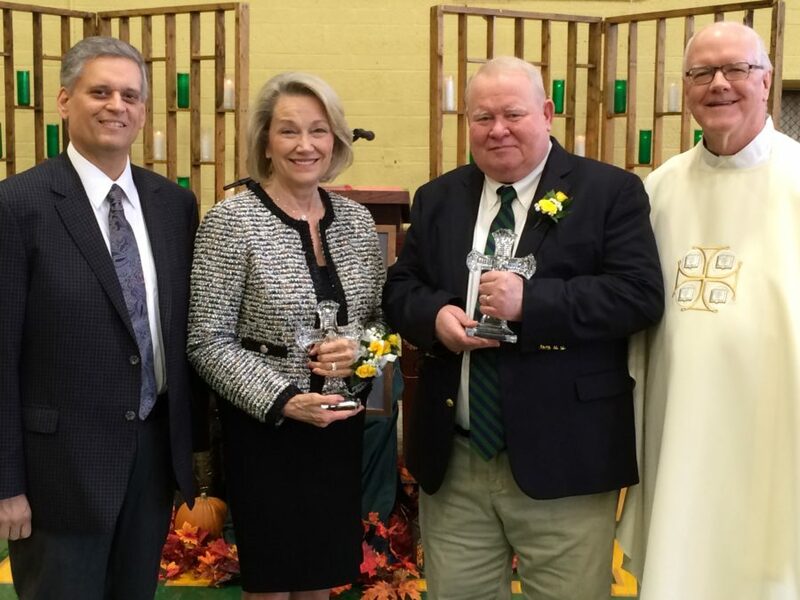 The twenty-ninth annual Distinguished Alumni Awards were presented at the liturgy. 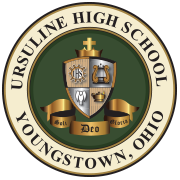 Each year, this award is given to graduates of Ursuline High School who have distinguished themselves by dedicated service to our school and to the community at large. This year’s recipients are Kathleen O’Neill Wolsonovich (’66) and Kevin J. McGuire (’76). Past award recipients include: Bishop James W. Malone, John McNally III, Mary Irene Hoffman, Joseph Nohra, Sister Jerome Corcoran, William G. Lyden, Jr., Mary Ellen Cushwa Wolsonovich, Monsignor Kenneth Miller, Alex Simon, Paulette Petrosky, Sara McClurkin Kennedy, Thomas J. Carney, Joy DiLoreto Brunner, Daniel E. Gallagher, Shirley LaCivita Phillips, Donald E. Foley, Sr., Judy Rochford Wexler, Daniel P. O’Horo, John J. Ridel, Mary Kay Buckley D’Isa, Richard Barrett, Sister Alice Marie Morley OSU, Monsignor John P. Ashton, Cynthia Ryan Reardon, Jim Beil, Sister Nancy Dawson OSU, Patricia Storey Kane, Thomas Stabi, Marilou LaCivita Stroney, Dr. Thomas Shipka, Helen Lamb Lafferty, Father Frank Lehnerd, Sister Virginia McDermott OSU, M. Richard Varley, Jeanne McLaughlin Foley, Vincent Gilmartin, Maureen Collins, Father Tim O’Neill, Dorothy Ferrell Durina, Thomas P. Metzinger, Mary Moran Krygowski, George Banks, Margene Flannery Chambers, Monsignor John Zuraw, Kathleen Cunningham Conlan, Edward Novosel, Janet E. Del Bene, Scott R. Schulick, Suzanne Morrison Fleming, Bruce Joseph, Aimee Amendolara Morrison, Tom Murray, Sr. Mary Lee Nalley OSU, John Vitullo, Ruth Coleman Carroll, John Ulicney, Dr. Mary Lou Dutko DiPillo, Michael Fagert, Cynthia Herubin Francisco and John F. Herubin.